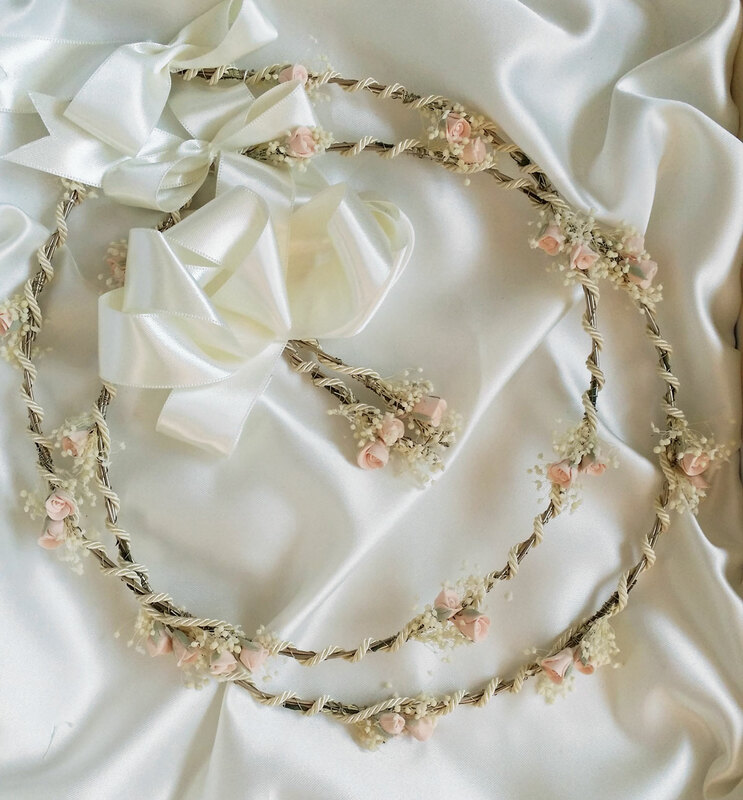 Flower wedding crowns in romantic style, handmade with pink porcelain roses, woven in with dried baby's breath flowers on a wire, wrapped with an ivory cord. They are tied together with ivory satin ribbon. One of a kind bridal crowns for romantic and rustic weddings. 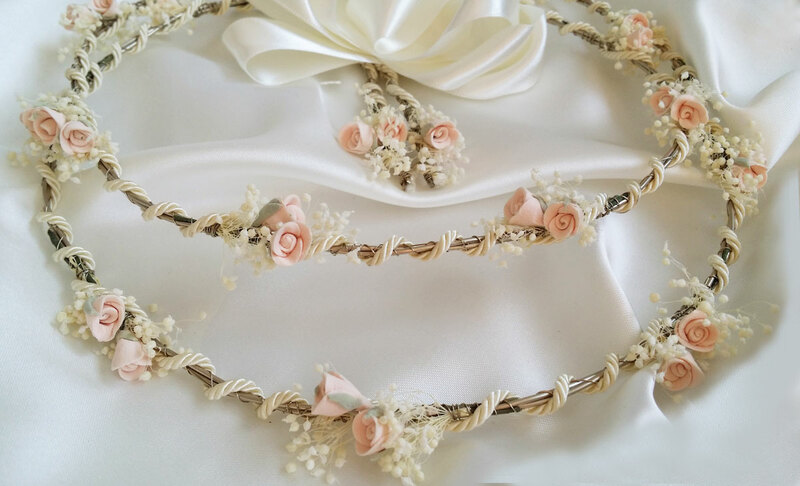 https://www.preciousandpretty.com/2019/01/wedding-flower-crowns-n8.html Greek Wedding Favors|Orthodox Crowns|Stefana|Baptism Invitations Wedding flower crowns N8 Wedding flower crowns handmade with baby's breath and pink porcelain roses. Product #: Greek Wedding Favors|Orthodox Crowns|Stefana|Baptism Invitations_5935396193916469902 5 stars out of 5 reviews.